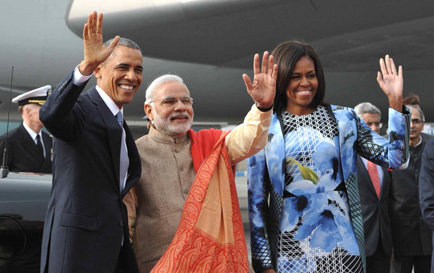 US President Barack Obama arrives in New Delhi on a 3-day visit to attend the 66th Republic Day Celebrations. Prime Minister Narendra Modi warmly receives US President, Barack Obama. 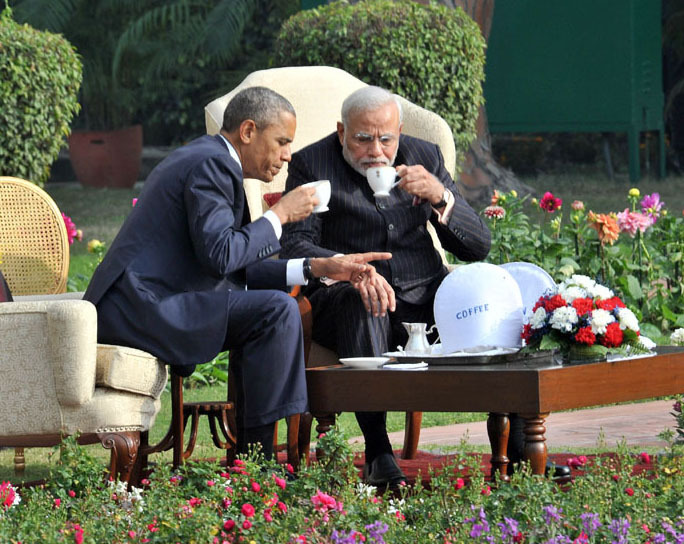 The US President Barack Obama accorded a ceremonial reception at Rashtrapati Bhavan. After receiving the Guard of Honor at Rashtrapati Bhavan, US President Barack Obama pays tribute to Mahatma Gandhi at Rajghat. During the visit, the two countries will strive to make progress on several crucial issues including climate change, defence and economic cooperation. The US President is accompanied by a sizeable delegation that includes several top officials including the secretaries of commerce and trade, as well as First Lady Michelle Obama. 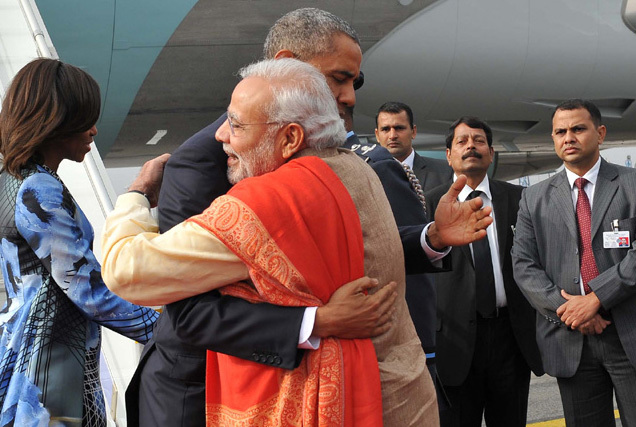 This is Barack Obama’s second visit to India. Prime Minister Narendra Modi had invited the US President to witness this year’s Republic Day Parade as the Chief Guest.